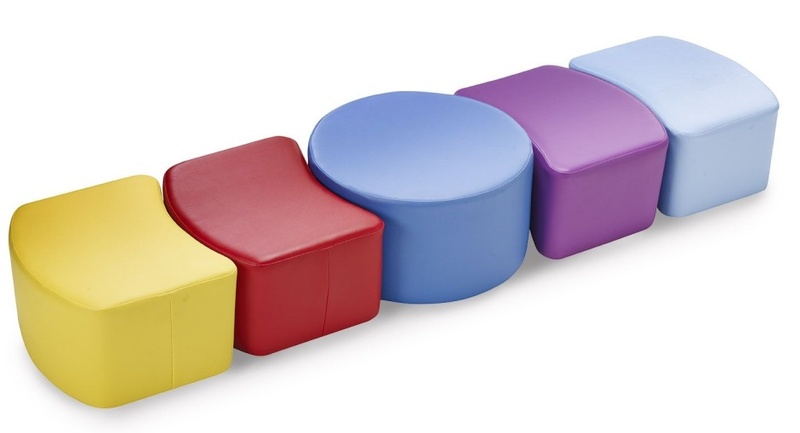 A set of five shaped low stools that can be combined with each other to form a number of layouts. 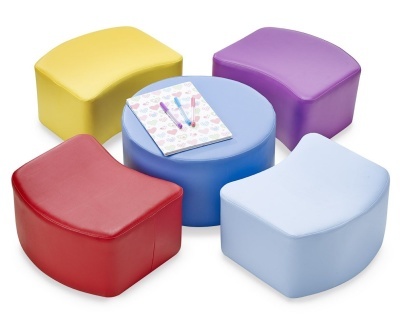 Upholstered in a choice of ten wipe-clean vinyl colour choices. Durable solid wood frame and padded seats make these versatile stools ideal as reading chairs.